You're in Mass!? we gotta go on a home made bike ride sometime! 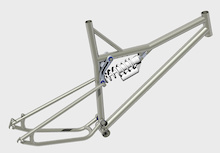 Nice work on the frame. 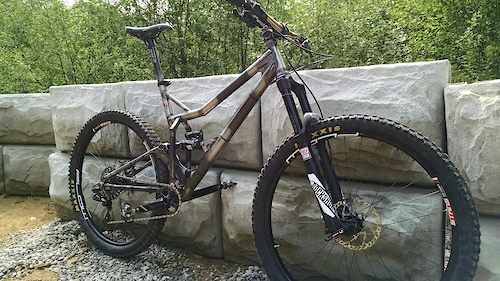 Posted in "The All Mountain Rat Bike Thread [Hardtails only]"
One of the best looking carbon frames I've seen! clean lines, no nonsense. Is the swing arm one or two pieces? yea I run a tool and die shop with my dad. making bikes is my hobby! I have a couple: https://www.pinkbike.com/photo/14454603/ and https://www.pinkbike.com/photo/14454601/ its a little tricky to get a good shot of them on the bike cause there between the twin spars. Don't look too close, these were made quick and dirty so I could finish in time for a race!